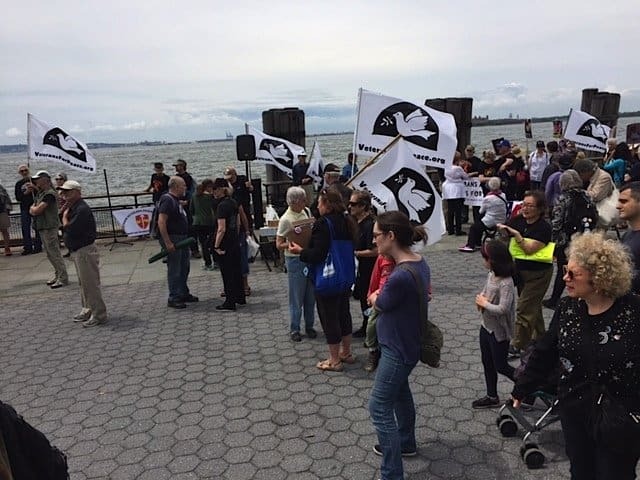 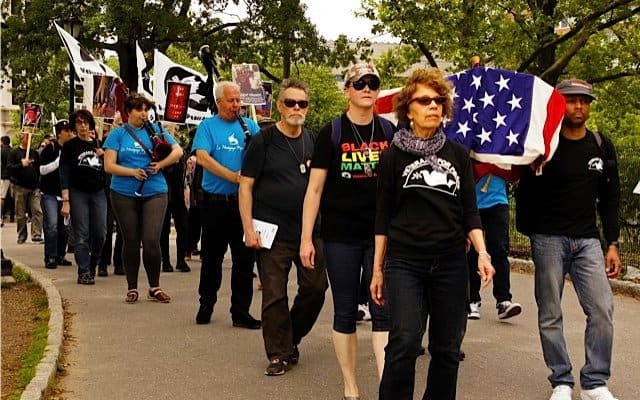 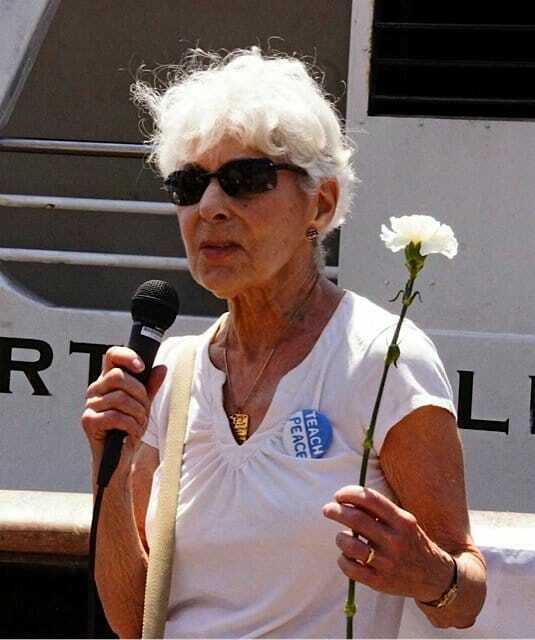 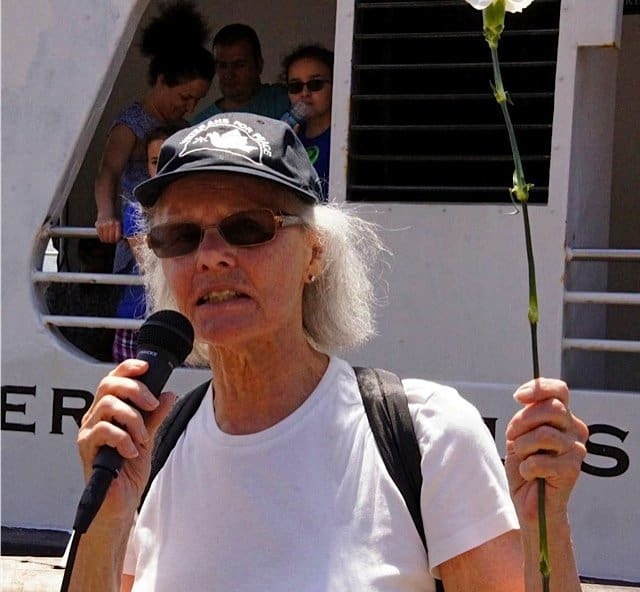 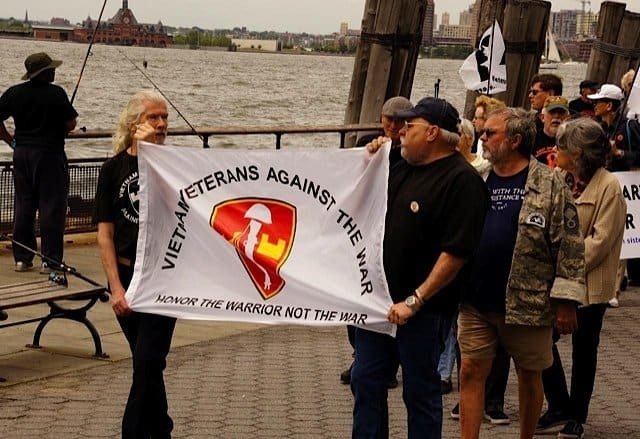 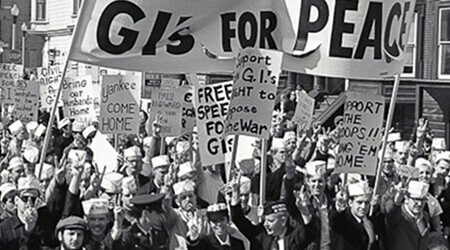 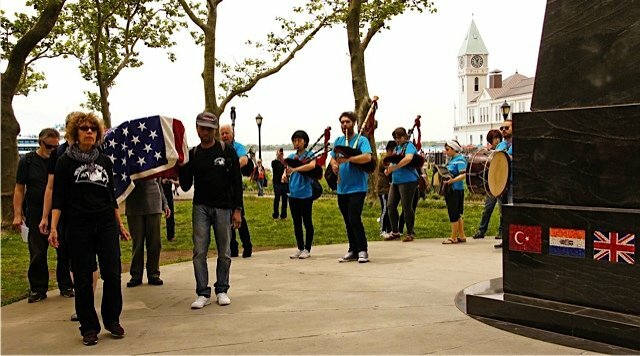 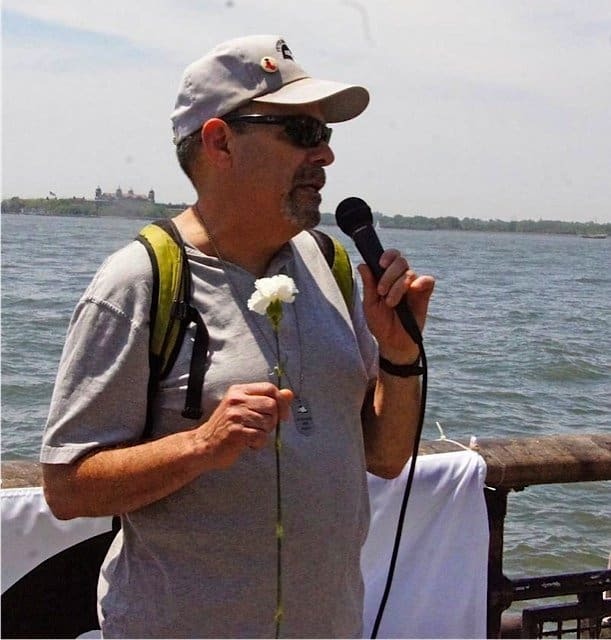 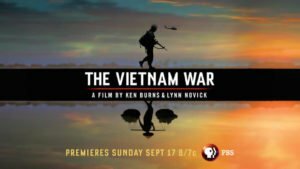 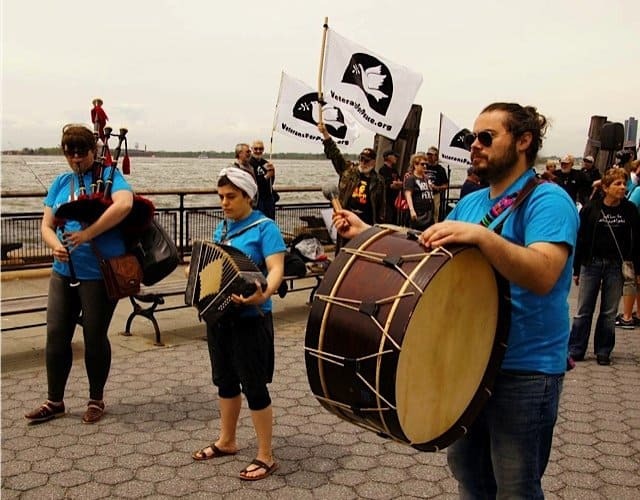 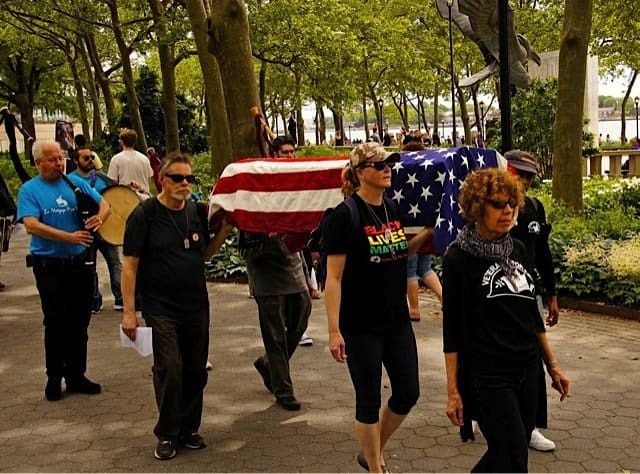 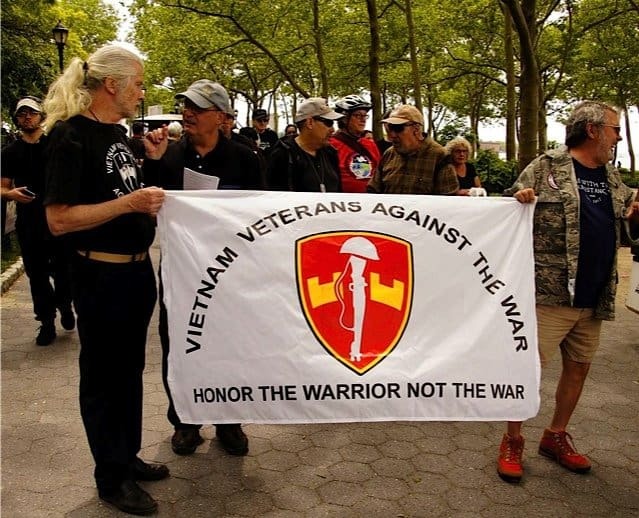 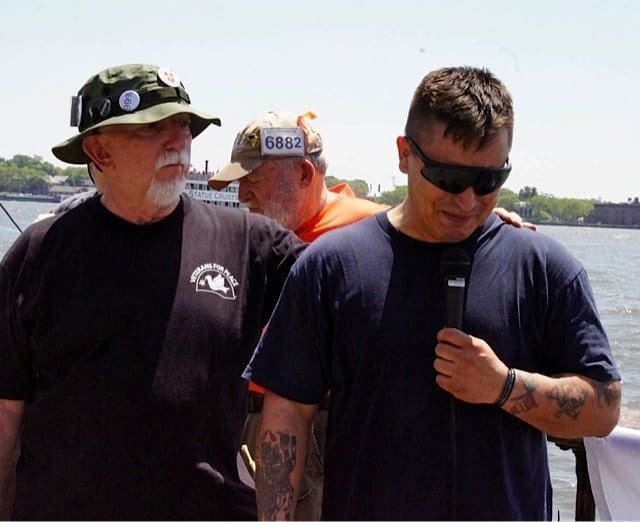 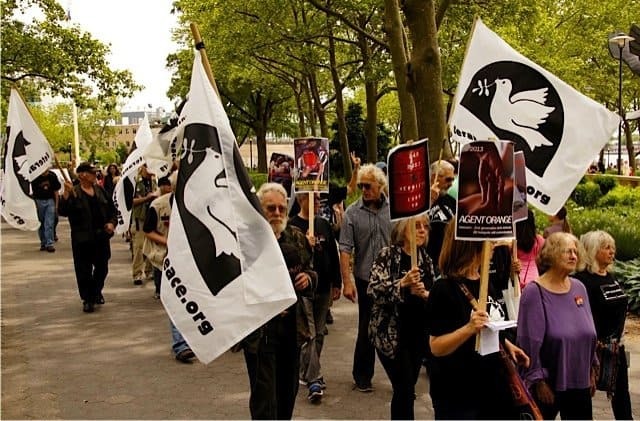 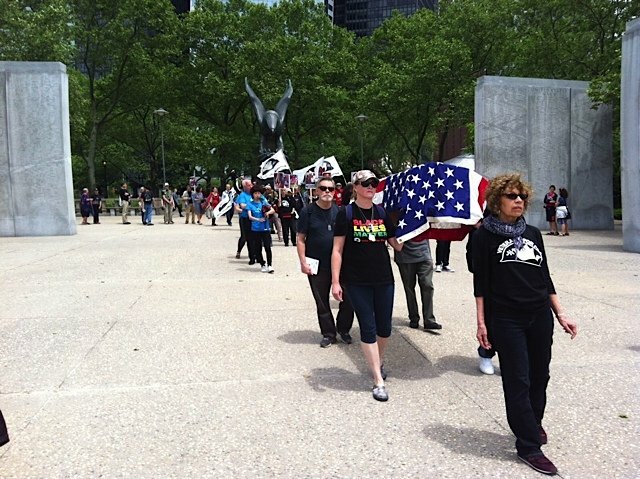 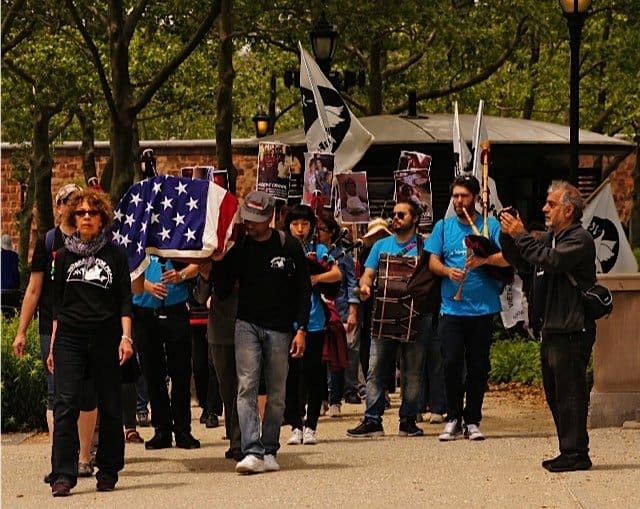 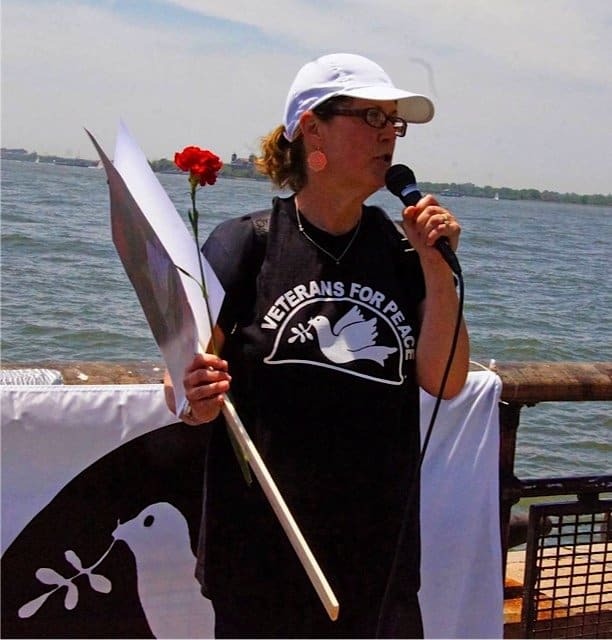 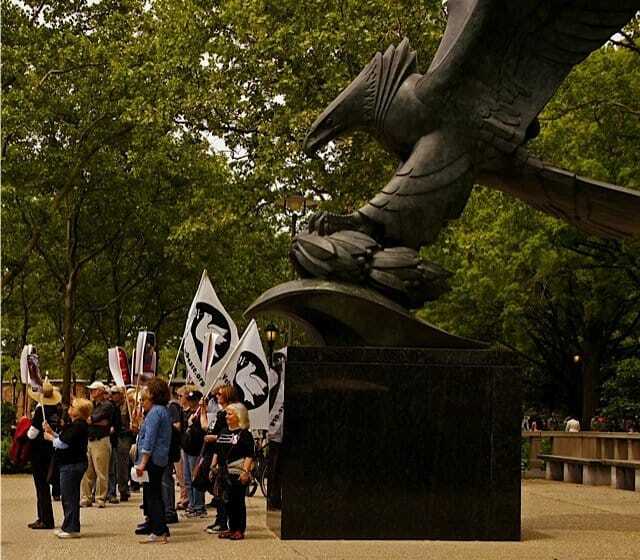 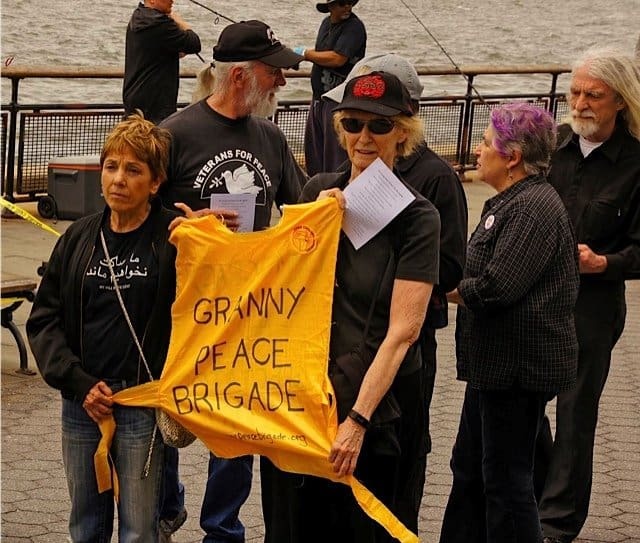 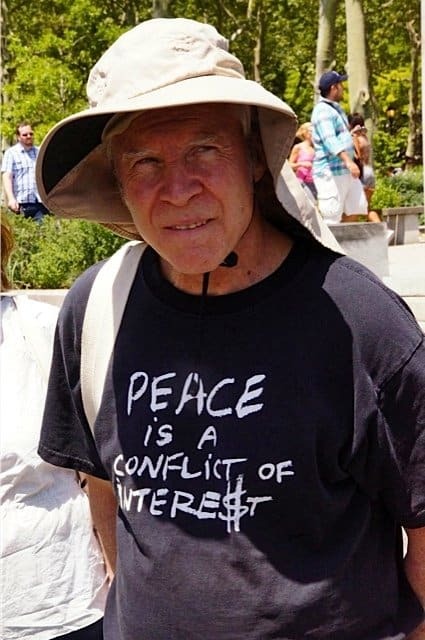 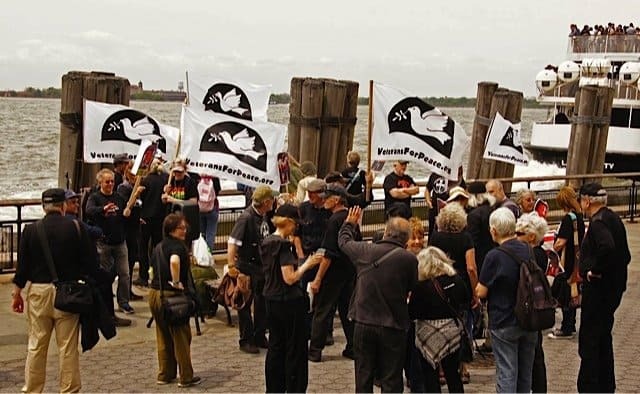 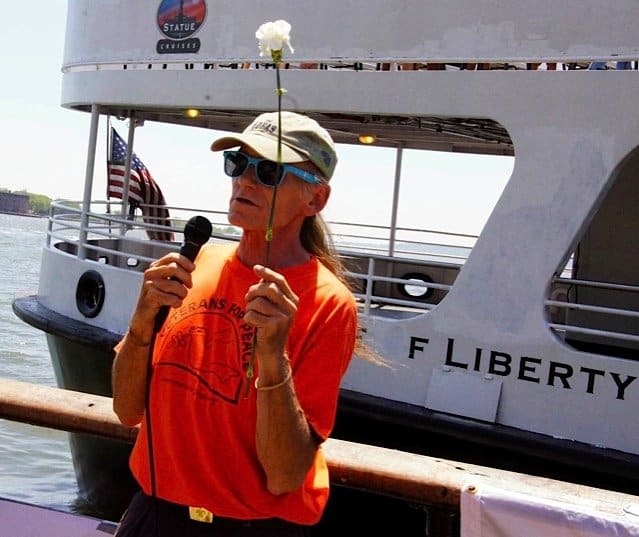 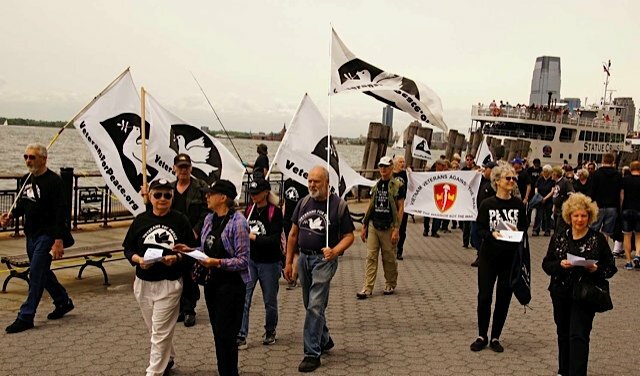 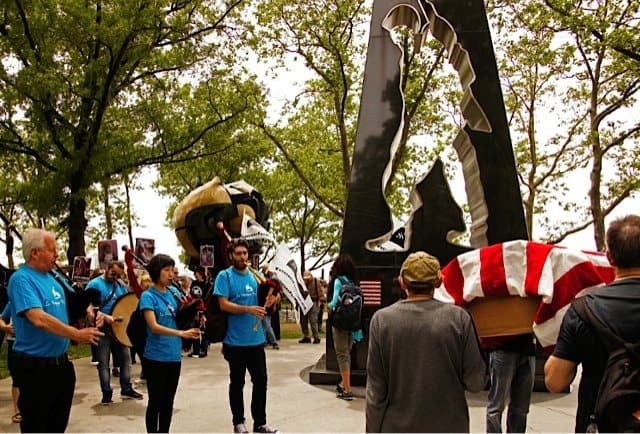 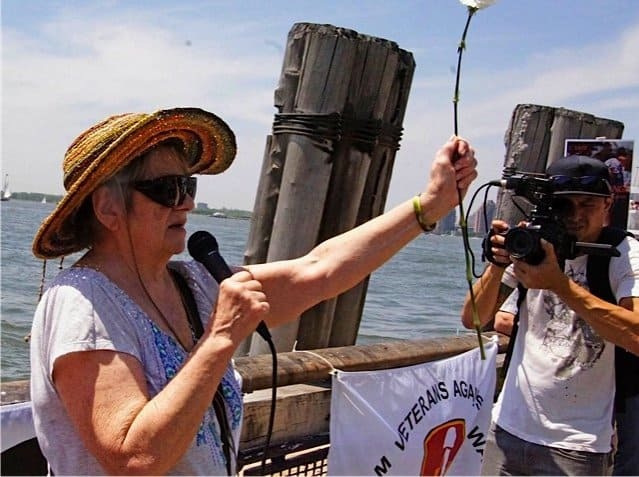 On Sunday, May 28th, 2017, Veterans For Peace, Vietnam Veterans Against the War, and members of other peace and social justice organizations joined together in a funeral procession through Battery Park. 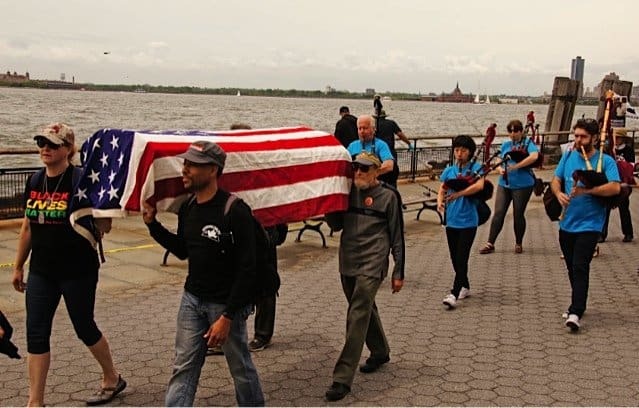 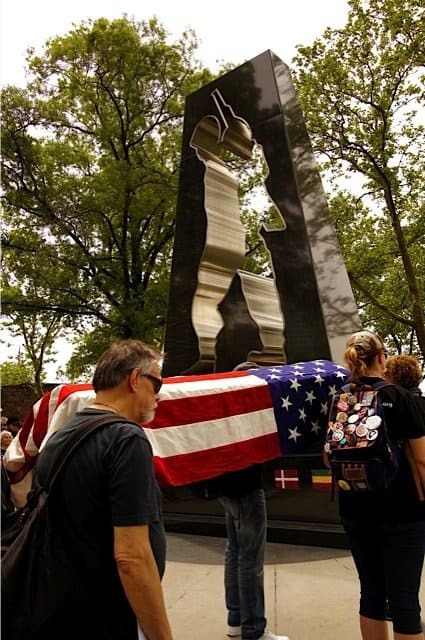 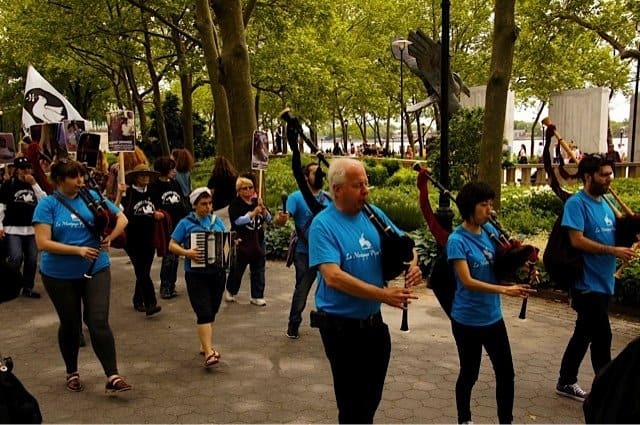 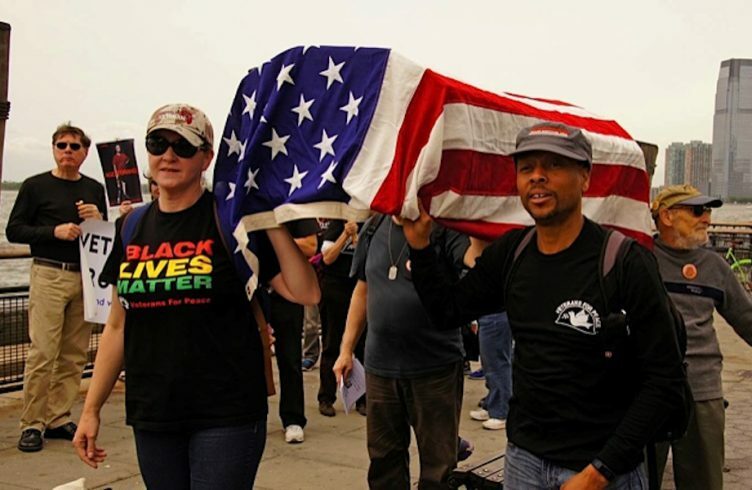 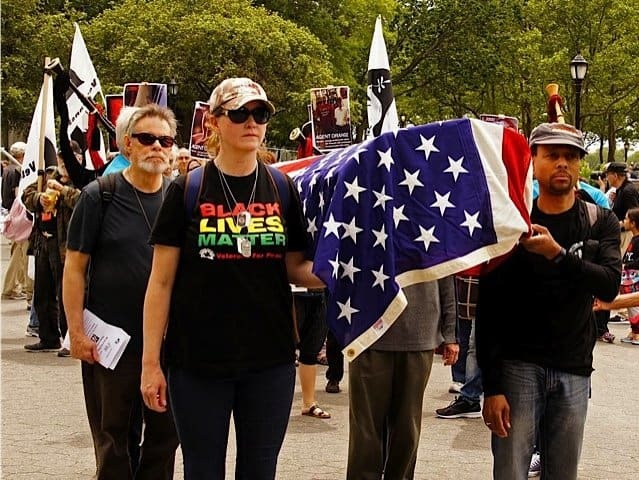 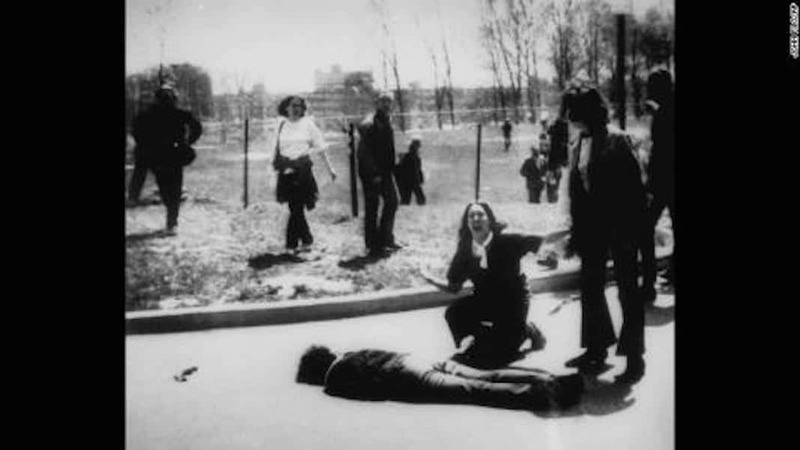 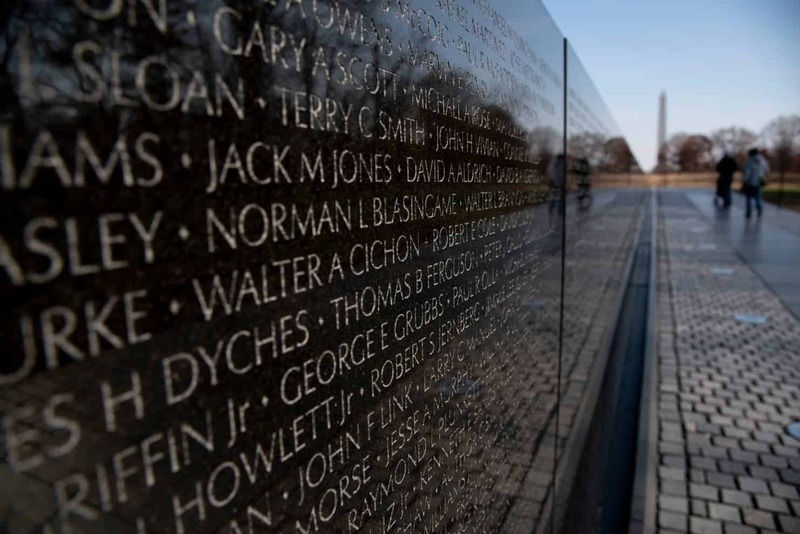 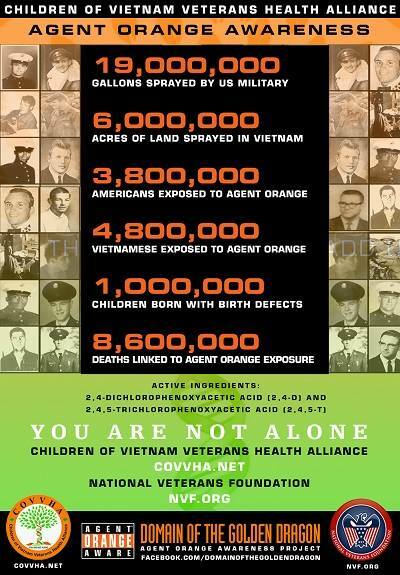 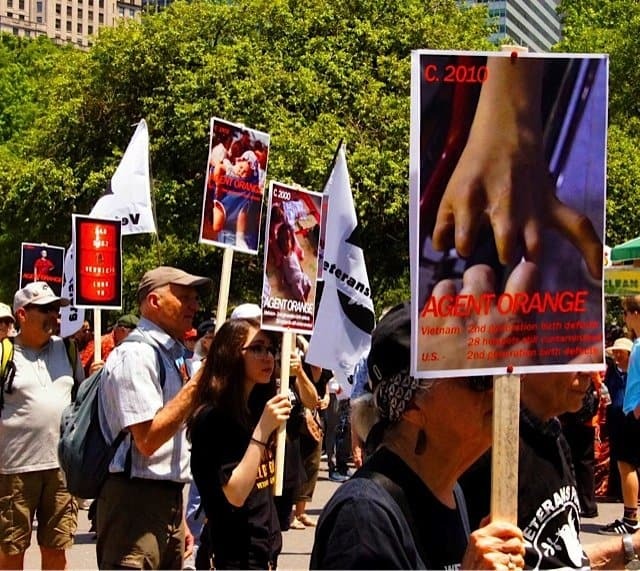 We carried a flag draped coffin followed by bagpipers from the Mecicaya Pipe Band, folks carrying large pictures of children born with birth defects caused by Agent Orange/dioxin, VFP and VVAW flags, handing out flyers about Memorial Day and the devastation and destruction of war. 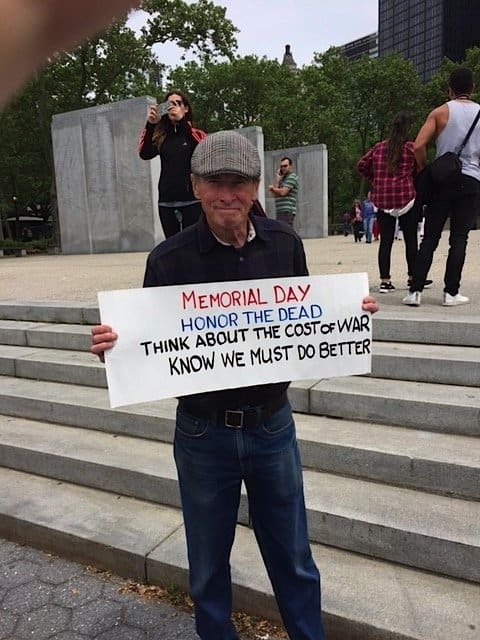 Our audience were those tourists and holiday goers celebrating Memorial Day sales and the long weekend. 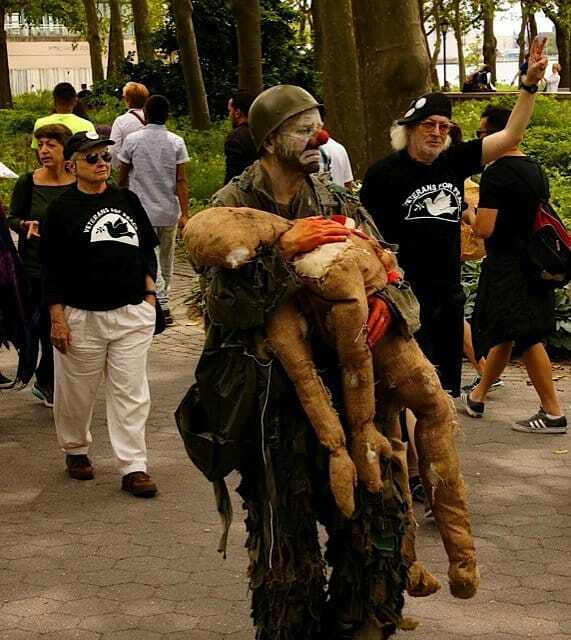 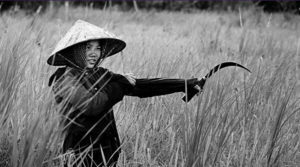 Kevin Augustine carried the wounded puppet tenderly in his arms. 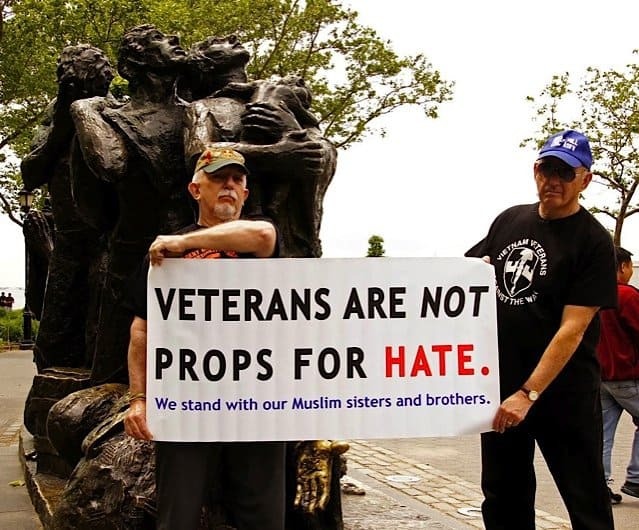 We started at the East Coast Memorial for Sailors lost off the Atlantic Coast and walked to the Marine Memorial flag pole, through the park to Clinton Castle, stopped at the Statue of Immigrants with a sign reading Veterans Will Not Be Props For Hate-we stand with our Muslim sisters and brothers, and wound our way past the Korean War Memorial, and back to the seawall from which boats leave for Liberty Island. 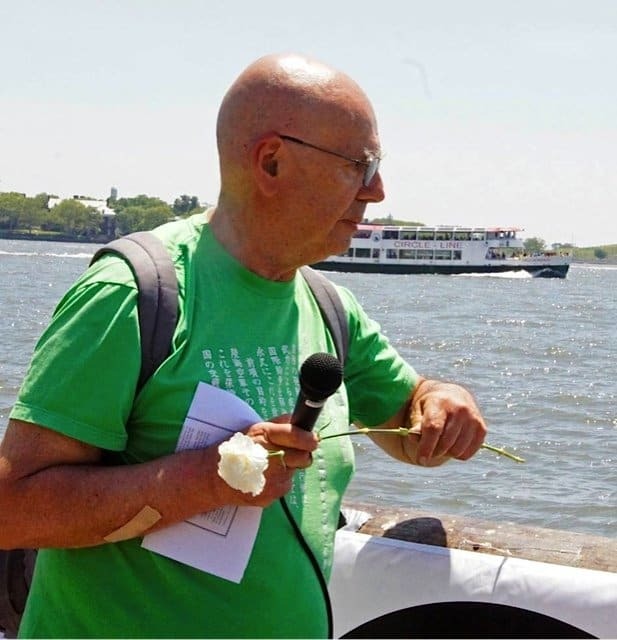 Our traditional service included the throwing of white carnations into the river in memory of a loved one who died in combat. 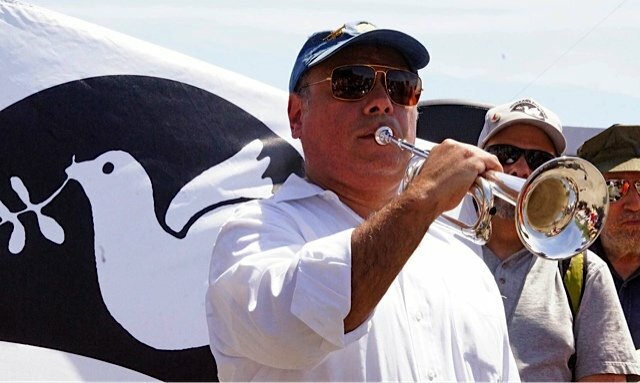 Our day ended with the playing of taps.